[Atlanta, GA April 17, 2017] Hot 107.9’s Birthday Bash ATL “The Pop-Up Edition” presented by Heineken announced Gucci Mane to be the headliner along with Migos, Fat Joe & Remy Ma, YFN Lucci, B.O.B., DJ Luke Nasty, D.R.A.M and Lil Uzi Vert to perform at this year’s show, Saturday June 17th at Philips Arena. “The Pop-Up Edition” will not only feature the announced artists but a host of surprise artists who will literally “pop up” during the show, making this one event that will be very memorable. Previous years’ performers have included Chris Brown, Jay Z, Kanye West, Jeezy, Ludacris, Usher and many more! This year’s show will undoubtedly top previous years. Text birthdaybash to 71007 to join our club to get upcoming alerts! VP of Programming and Operations Hurricane Dave, said “Every year the headliner for Birthday Bash is one of the hottest artist currently in music. This year is no exception, as Gucci Mane just came off a number one record in the country with Drake. His current single is approaching number one status. There are several artists that will pop up on that Birthday Bash stage that we just can’t announce due to contractual agreements. This year’s Birthday Bash will live up to its title the “pop up” addition”. Tickets are on sale now at ticketmaster.com, Philips Arena Box Office or charge by phone at 1-800-745-3000. Purchase tickets by event via www.ticketmaster.com. 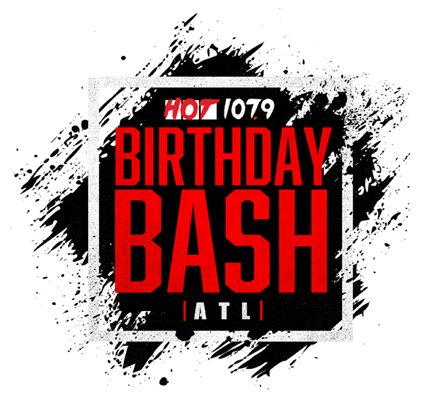 For up to date information, visit www.birthdaybashatl.com or follow us on twitter and Instagram @hot1079atl, #BirthdayBashAtl2017 and of course tune into WHTA Hot 107.9-FM. Centennial Olympic Park with live performances and vendors 12 noon – 5 pm. Radio One, Inc., together with its subsidiaries (http://www.radio-one.com/), is a diversified media company that primarily targets African-American and urban consumers. The Company is one of the nation’s largest radio broadcasting companies, currently owning and/or operating 54 broadcast stations located in 16 urban markets in the United States. Through its controlling interest in Reach Media, Inc. (http://www.blackamericaweb.com/), the Company also operates syndicated programming including the Tom Joyner Morning Show, the Russ Parr Morning Show, the Yolanda Adams Morning Show, the Rickey Smiley Morning Show, Bishop T.D. Jakes’ “Empowering Moments”, and the Reverend Al Sharpton Show. Beyond its core radio broadcasting franchise, Radio One owns Interactive One (http://www.interactiveone.com/), an online platform serving the African-American community through social content, news, information, and entertainment. Interactive One operates a number of branded sites, including News One, UrbanDaily, HelloBeautiful and social networking websites, including BlackPlanet and MiGente. In addition, the Company owns a controlling interest in TV One, LLC (http://www.tvoneonline.com/), a cable/satellite network programming primarily to African-Americans.